It is Mid-April and early spring in Denmark. The first yellow dandelions are blooming in my garden and I turned 50 a few weeks ago. Looking back at the last couple of months’ posts at Feminine Moments’ queer art blog, I see that I have received a number of calls for submissions from queer festivals – see the calendar below. In this issue of Feminine Moments’ newsletter I am happy to present some great queer photography art projects and a few artist showcases. Book release April 18 2012, 6 pm. at the Hasselblad Center Gothenburg, Sweden. Release reception with talks by Danish photographer and queer woman Charlotte Haslund-Christensen, Eva Borgström, Senior Lecturer at Gothenburg University and Louise Wolthers, researcher at The Hasselblad Foundation. In 2009 Charlotte Haslund-Christensen photographed over 40 LGBT (lesbian, gay, bisexual and transgender) people at Copenhagen’s main police station – capturing them in mugshots like the criminals they would be many places in the world. 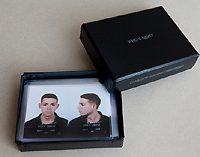 The work – a signed box sets containing 42 photographic prints – is a comment on the fact that 76 countries continue to criminalise homosexuality that LGBT people are still stigmatised, attacked and killed, with at least 5 countries making being gay punishable by death or life imprisonment. The purchase of each box supports the distribution of WHO’S NEXT? to countries where LGBT people face daily prosecution and persecution and are denied basic human rights. 12.25 x 9.5 inches, 36 four-color plates. 80 pages, hardcover. Canada: Exposure – Call for Volunteers. Exposure Emonton’s Queer Arts & Culture Festival is currently seeking dynamic, enthusiastic people who are interested in the arts, Edmonton’s cultural life, queer issues, politics, social and political activism, and event planning. Interested individuals should send a paragraph outlining their background, their reasons for wanting to be involved, and their skills to volunteer@exposurefestival.ca by Friday April 20th, 2012.
entzaubert, a radical queer d.i.y. film festival in Berlin, Germany, August 2- 5, 2012 calls for queer experimental movies and workshop proposals. Deadline April 23, 2012. The collective Traumschicht in Zürich, Switzerland, calls for submissions for Traumschicht’s queer_feministisches d.i.y cinema. Deadline April 30, 2012. Queer Arts Festival in Vancouver, Canada has announced the festival dates for the coming festival: July 31 – august 18, 2012 and published a call for queer art for QAF’s community art show. Deadline May 1, 2012. Homotopia 2012 in UK seeks new work from artists, theatremakers, producers, and promoters for consideration for the autumn festival, which will be held at various venues across Liverpool, UK, November 1-30, 2012. Deadline May 4, 2012, 5pm. on view at the Brookly Museum last winter is now at the Tacoma Art Museum, where it runs through June 10, 2012. The big feminist art exhibition Man as Object: Reversing the Gaze (consisting of 117 pieces curated by Tanya Augsburg ) has travelled to Kinsey Institute Gallery where it is on view through June 29, 2012. Here the traveling exhibition will be accompanied by a selection of artworks by female artists depicting men that is drawn from the permanent collection of The Kinsey Institute. Man as Object: Reversing the Gaze is accompanied by a full color catalog by Tanya Augsburg and Karen Gutfreund, with essays from Lynn Hershman Leeson, Annie Sprinkle and others. 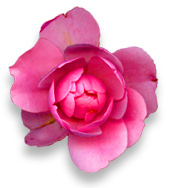 Lavender Review is a biannual e-zine dedicated to poetry and art by, about, and for lesbians. Mary Meriam, editor of Lavender Review has published a Kickstarter project. Help her keep Lavender Review alive! THIS PROJECT WILL ONLY BE FUNDED IF AT LEAST $2,000 IS PLEDGED BY FRIDAY MAY 4, 2012. Leslie-Lohman, New York hosted the exhibition UNCENSORED: Queer Art and the Church, March 27-31, 2012. This exhibition was absolutely uncensored(!) One of queer photographer Marta Kochanek beautiful photographs was on view at this show and I am curious as to whom the other queer artists of this show were. If anyone has a list of the artists, please share it with me. In March 2012 you could see the exhibition AURORA REINHARD – PERFECT in Helsinki, Finland. Aurora Reinhard is known for her controversial work exploring the tensions and structures of contemporary society. She works with video, photography and hyper-realistic objects fetishizing the everyday. I wish you well and invite you to share your queer / feminist art projects with Feminine Moments.